I've been a little hard on myself the last few days. I blame Auntie Flow. No one likes her visits. But today I kind of lost control and drowned my sorrows in a huge hamburger and fries. The poor things never saw it coming. It was delicious. And a little depressing. After my binge and a pep talk from my friend, I'm refocused again. We are all entitled to a bad day every once in a while, right? Life can get pretty tough! I just need to let it pass and keep moving forward. Our lives have been so boring the last week or so. I made a promise to myself that we were going to take advantage of this great October weather and get out and enjoy life more. Yesterday was the start of that commitment. My friend told me about a local ranch that decided to open up for fall/Halloween activities. Since they're only a few miles away, we decided to go check it out. Their establishment is new this year, so we were the only ones there until about 5 minutes before we left but we had tons of fun! The family running it was so sweet and helpful. And they even gave us a free bag of potatoes and free admission coupons for our next visit! How great is that?! 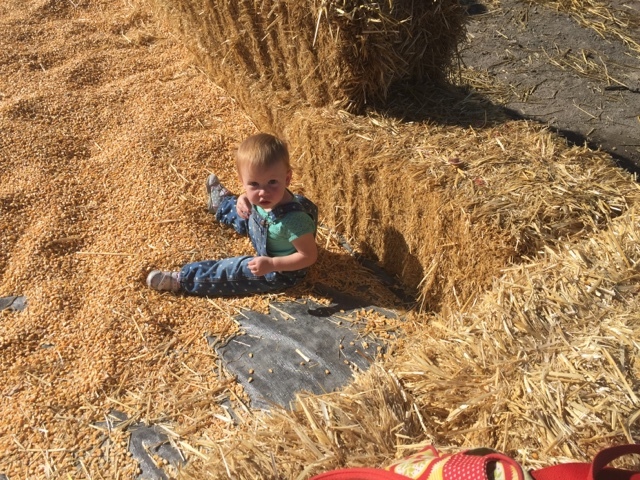 First we went to the corn pit. Kennedy LOVED it! She had to frequently stop and dump corn out of her boots, and after making a corn angel we had to retrieve some from her underwear... but it didn't deter her. Brynlie wasn't having it. She didn't mind sitting on the edge but as soon as I moved her to the "deep end" she screamed and cried until I took her out. 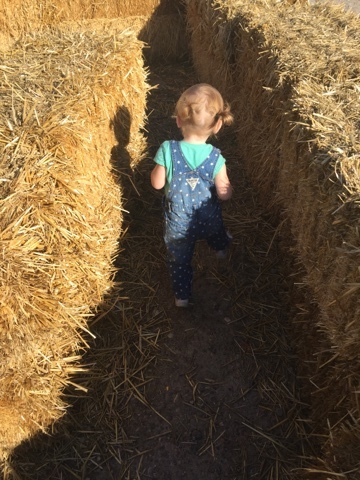 Next we checked out the kiddie hay maze. Kennedy figured it out in about 30 seconds and Brynlie just went wherever her heart desired and looked amused when she hit a dead end, like nothing was going to cramp her style. 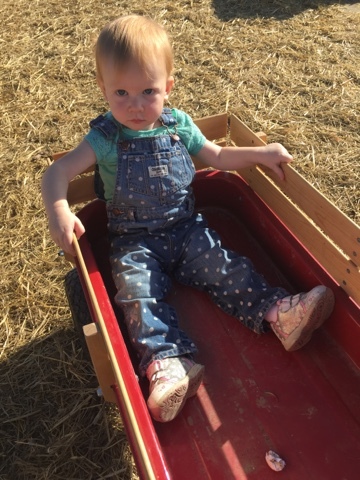 And then I got the "opportunity" to pull the girls around in a wagon. I promise they loved it. Contrary to the emotion displayed below. 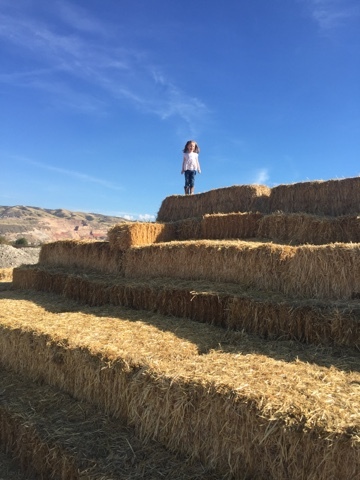 And K played queen of the hay bails. Brynlie tried, but only made it to the apprentice level. 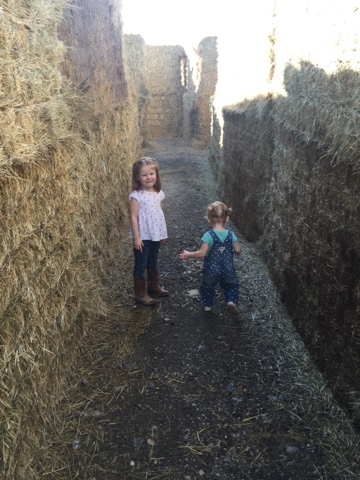 Next we took the big hay ride through the cow fields. The cows are young and kind of hyper so they followed the tractor thinking they were going to get fed, which made it pretty exciting. I think this was Brynlie's favorite part. 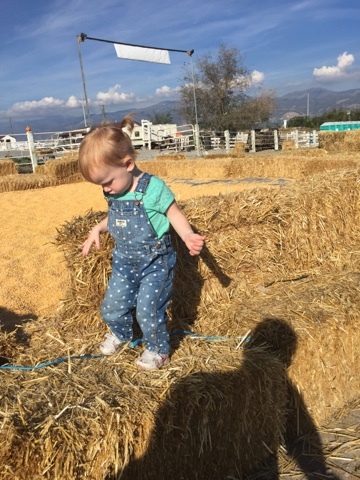 She has a major thing for animals and watching the cows chase us was almost over stimulating. I thought she was going to launch herself off the trailer she was bouncing so hard in excitement. After that we headed to the big guns... 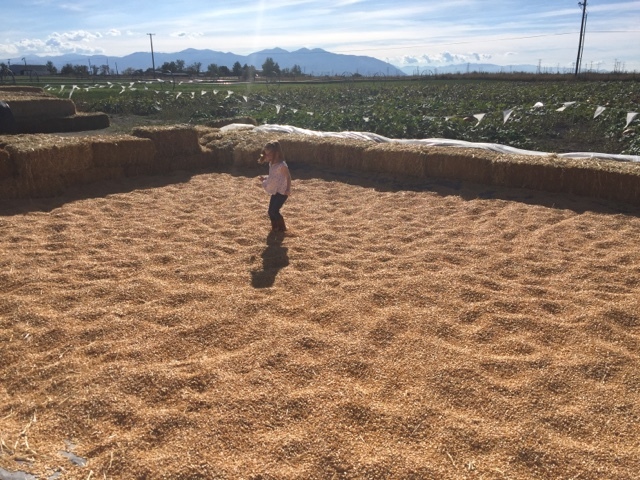 The adult hay maze. I should have postponed this until our next visit because we were in a rush to get home and start dinner, so we hurried and kind of got lost. But we had fun. 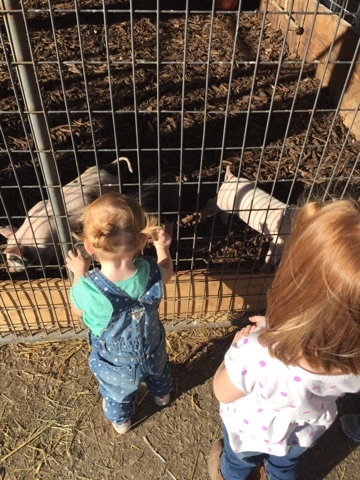 We also had to stop and see the goats and pigs; another major highlight for B.
I can't get over her piggies! They make her look a whole year older, I swear. 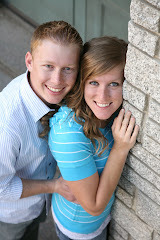 And they're adorable!! We definitely plan on going back when we have more time and can take Daddy and maybe Grandma. Guys, I know this blog is a bore. I've hit a blogging slump and I am determined to dig myself out of it. I'm so sorry for the sporadic posts and lack of enthusiasm. Things will get better!